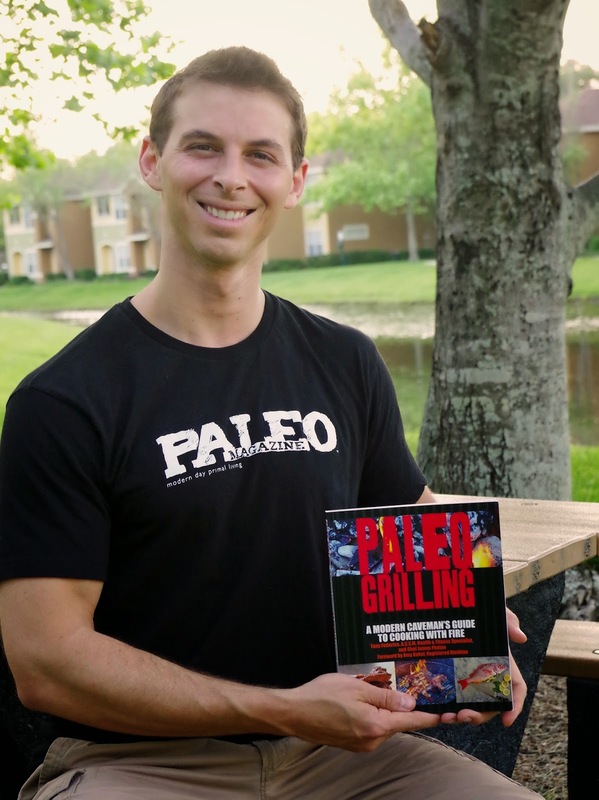 Home / Uncategories / Just Got My Copy of "Paleo Grilling - A Modern Caveman's Guide to Cooking with Fire"! Just Got My Copy of "Paleo Grilling - A Modern Caveman's Guide to Cooking with Fire"! Last Summer I partnered with a local chef to create a book that seemed so obvious I couldn't understand how it hadn't already been done. Meat, fire, cavemen, it all just goes together so well. During the months that followed, we rubbed a few brain cells together, rubbed a few sticks together, almost caught ourselves on fire (not really) and managed to get this thing done. This was my first "legit" book project and I truly didn't know what to expect when the final product arrived, but I can honestly say that this thing is awesome. I'm not saying that it's the best cookbook out there, it's not. I'm not saying that it's the best Paleo book out there, it's not. It is, however, a really fun book with cool pictures, quotes, diagrams, grilling "how-to's" and a bunch of tasty recipes that you can feel good about feeding your family (and a bunch of friends). The book is officially available June 15th, but I'm so excited about having this "hot off the press" advanced copy that I had to share the news. Thank you all for your support, writing this blog is the only reason I had the opportunity to write this book, and if it wasn't for people like you who read this blog, I wouldn't be writing it!